From Saturday through to yesterday I was working in Glencoe for the MCofS. 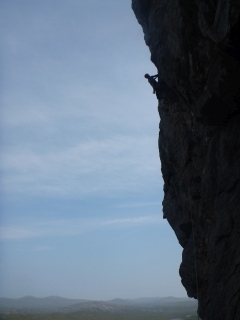 I was working on two, 2 day scrambling courses. 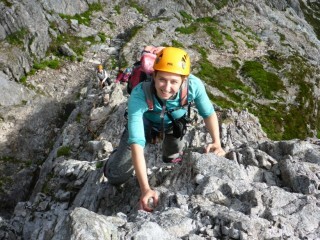 Saturday I climbed the NE ridge of Stob a' Ghlais Choire in lovely sunny dry conditions. 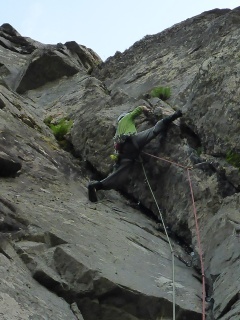 On Sunday we got up early and climbed Curved Ridge before the rain arrived. 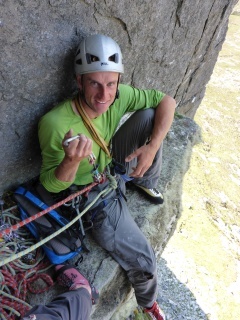 On Monday we had much colder showery conditions on Dinner Time Buttress and Tuesday was rather wet and dreich although Tom and Sema managed to continue to smile on Broad Buttress. This last week Robin and I headed west for an adventure. 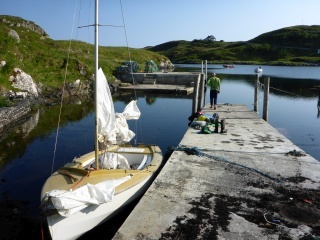 We drove over to Skye and set sail for Harris on the Western Isles. 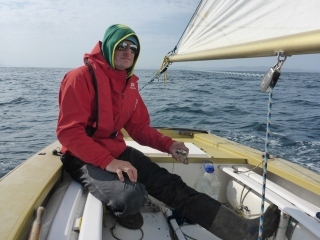 We had a pleasant sail over in our Wayfarer dingy and headed up into the hills to find Sron Ulladale. We had a great couple of days rock climbing. 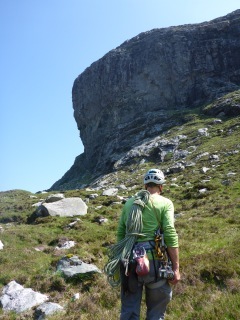 It is an incredible crag and we had some amazing hot weather. 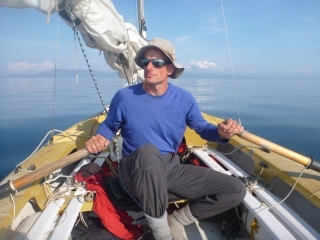 Our journey back wasn't quite so relaxing as the Minch was unusually windless and we had to row for the majority of our return crossing.